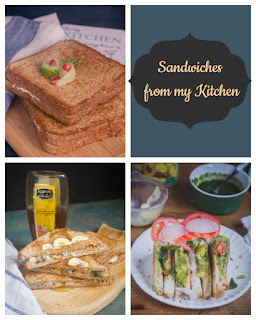 Me and my love for whole grains, brings you yet another delicious breakfast recipe with Whole ragi. 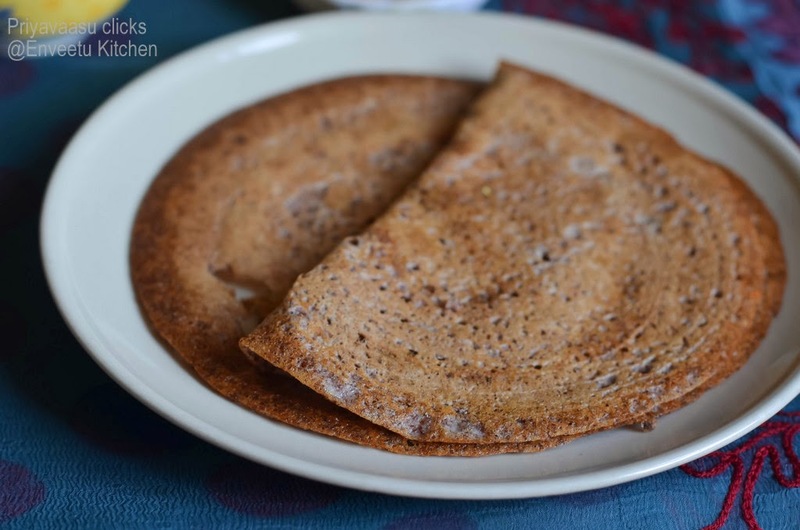 I have already tried a instant ragi dosa recipe in my blog, but this one is a fermented dosa, with urad dal. The goodness of ragi is abundant. It is a good source of calcium, it helps development of bones in kids and maintenance of the same in adults. It is naturally low GI food, so helps a lot in controlling insulin level in diabetics. Since my kiddo's are naturally dosa lovers, they both enjoyed this delicious and healthy dosa. I even packed them for my hubby's breakfast, they stayed good and soft till mid-morning. Soak ragi and urad dal separately in water for 3 hours. Soak the methi seeds along with urad dal. After 3 hours, drain the excess water from both. Grind urad dal first with enough water, to make a smooth batter. The well ground urad dal batter will froth nicely, that indicates that the batter is done. Transfer it to another bowl, preferably a deep one, since we are going to add the ground ragi batter to this and ferment which will cause the batter to rise well. Next grind the ragi to batter.you won't be getting a smooth and clear batter, the ground ragi will have brown specks all over. Transfer the ground ragi batter to urad dal batter and mix well. Leave it overnight or atleast 8 hours on the kitchen top for fermenting. If climate is a concern for fermenting, then leave the batter inside your oven, with the lights on. I normally preheat my oven to 150C and leave the batter inside, with the lights on and door open. Next day morning, add salt to the batter and give it a brisk stir, heat a dosa pan, add a tsp of oil, let it sit for a minute, wipe the oil off using a tissue paper and proceed to make dosa. Pour a laddle of batter in the centre of the pan, spread it in a circular motion to make a round. Dot the edges of the dosa with ghee/gingely oil. Let it cook for a minute,flip and cook the other side too for a minute. 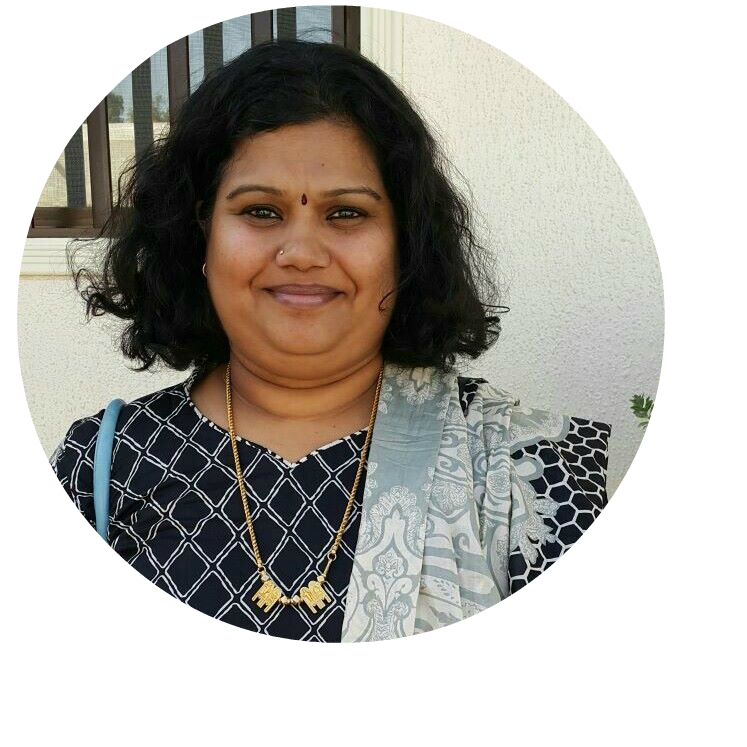 Sending this to CCChallenge, happening every week @ +Srivalli Jetti's space. 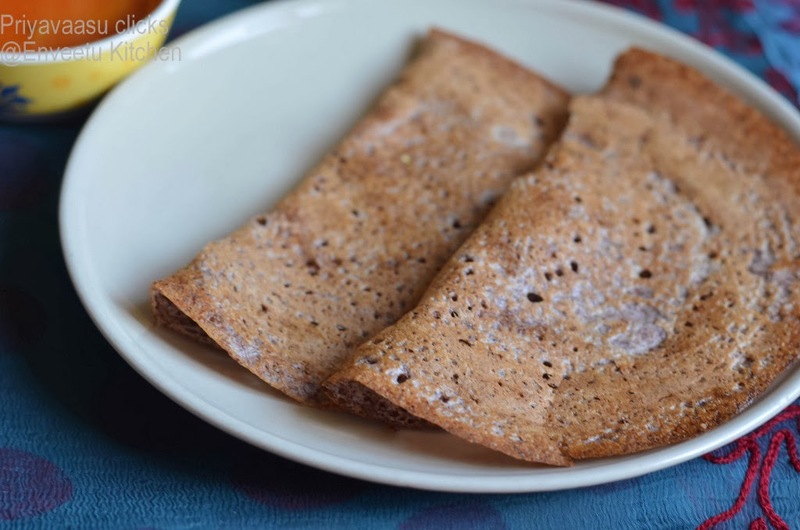 Ragi Dosa looks yummy Priya. Healthy and tasty dosa .....!! A very healthy dosa. Love it. 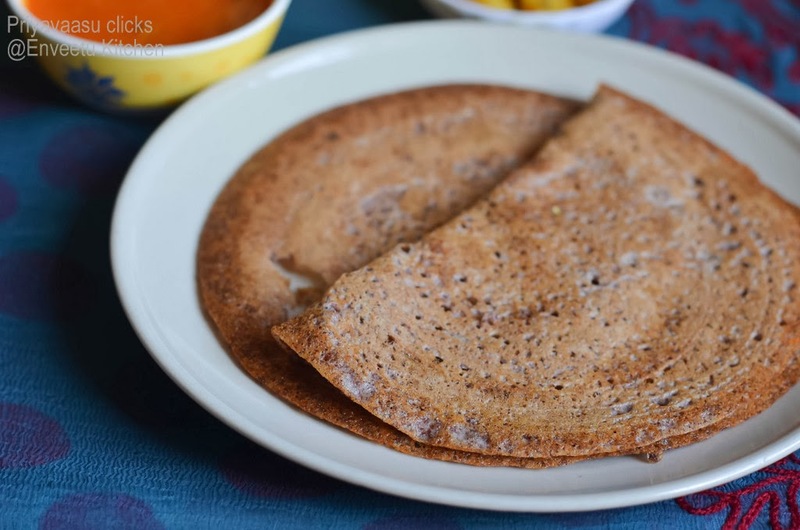 Healthy dosa and the chuntey looks so vibrant..
Trust me am not a big fan of instant ragi dosa, i love to make my ragi dosas always with whole ragi..they came out simply awesome. 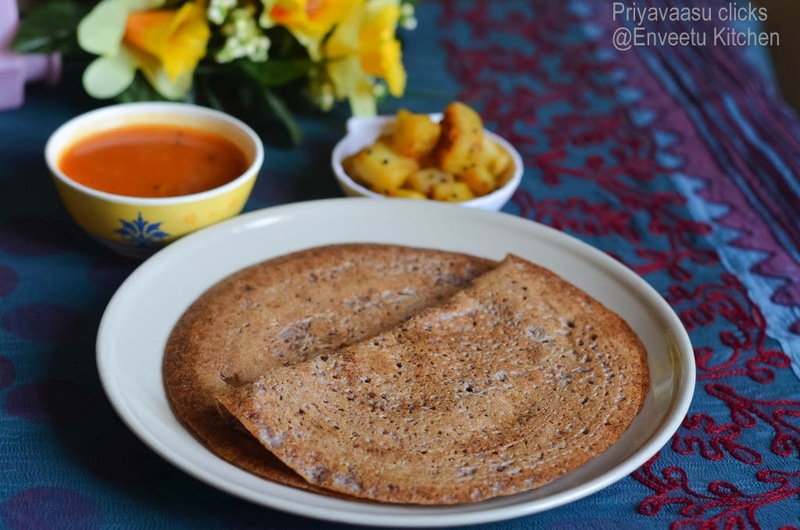 Simple yet healthy and delicious dosa,I also shared dosa recipe fpr CCC. Such healthy and nutritious dosas. Your dosas look absolutely perfect. 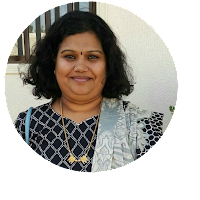 Wow love all your ragi dishes Priya..very nice.. Thanks for the simple recipe. I tried it and it turned out delicious. I do not need to buy the packed dough. Helps my diabetes.